Ruffles didn’t just make an appearance on the catwalks during Paris Haute Couture Week (as seen here), they are all over the place at the moment. 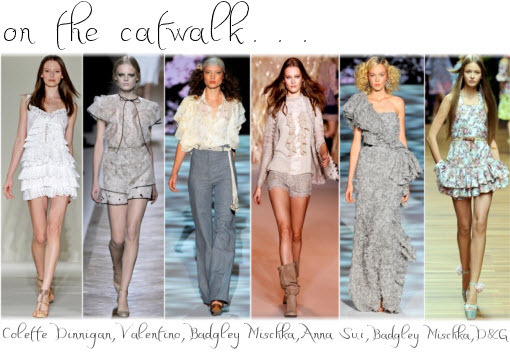 It’s an incredibly feminine trend which can give outfits movement and a flirtiness. I love this look, it reminds me of sumptuous French desserts, lush peonies and ballerina tutus… not to mention Marchesa bridal gowns. Will you be embracing the layered look? will you follow me on bloglovin if you’d like? if so, then let me know I would do the same for you too!